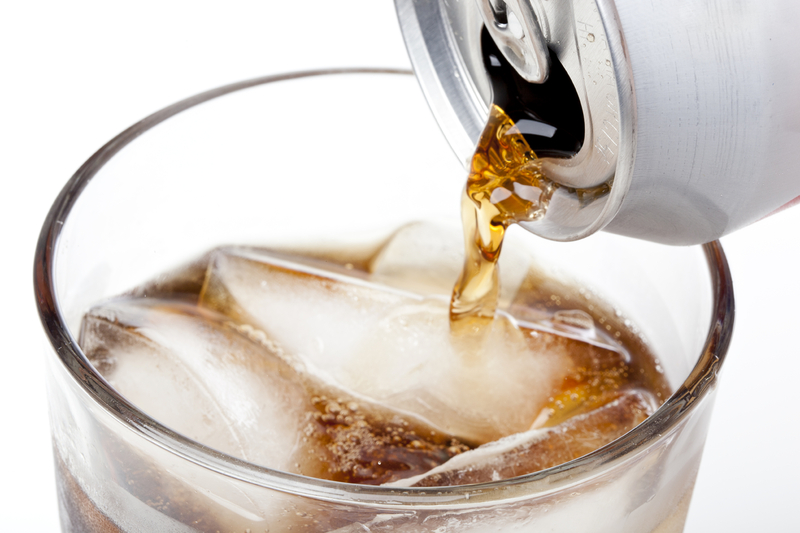 A new study has linked drinking diet sodas to increasing waistlines in seniors. What's more, the study found that the more diet soda someone drank, the more likely they were to add to their waistline. "We're being naive if we only look at the number of calories in the label. People may be sabotaging their own health if they use diet sodas to protect themselves from gaining weight," said study author Sharon Fowler, an adjunct assistant professor at the University of Texas Health Science Center at San Antonio. While this study did find an association between the consumption of diet sodas and a wider waist circumference, the research wasn't designed to prove whether drinking diet soda directly caused weight gain around the middle. In recent years, a number studies have suggested that artificially sweetened diet sodas may be associated with a wide variety of ills, including heart problems, depression and damaged teeth. However, a direct cause-and-effect link implicating diet soda has been elusive. The new study aimed to understand how diet sodas affect the waistline over time. Scientists believe fat in the midsection of the body is especially dangerous to health. The researchers looked at findings from a previous study of more than 700 white and Latino people. They were all 65 or older when they entered the study from 1992 to 1996. Researchers tracked them for an average of just over nine years to see what happened as they aged. The study ended in 2004. The researchers found that the waistlines of people who never drank diet sodas increased by 0.8 inches for the length of the study. By comparison, occasional diet soda drinkers' abdominal girth grew by 1.8 inches during the same time. Waistlines expanded by more than 3 inches in those who consumed the drinks every day, according to the study. But this is not necessarily a case of diet sodas causing weight gain, Fowler said. One possibility is that the weight gain is appearing in people "who had seen themselves increasing in weight over the past five to seven years and decided they need to do something about it," she said. So people may have turned to diet soda because they'd been putting on pounds, but then still kept on gaining weight because of other dietary habits, not the diet sodas. Another possibility is that people use diet sodas as an excuse to eat more because "they feel like they're protected against eating too many calories," she said. It's also possible that diet sodas could be the culprit. Past research has shown that animals gain more weight when they consume artificial sweeteners, and that could be happening in humans, too, Fowler said. The sweeteners could boost weight gain by disrupting the way the body processes sugar, making people more hungry, according to Fowler. The American Beverage Association said in a statement: "It's important to recognize that this observational study looked at an aging population -- those over 65 at the beginning of the study, who are already at risk of weight gain and cardiovascular disease -- and then made conclusions based on associations. However, many trying to lose or control their weight look for ways to reduce calories, including with their beverage choices." The study has several weaknesses, said Connie Diekman, director of University Nutrition at Washington University in St. Louis, and former president of the Academy of Nutrition and Dietetics. One is that the study didn't have many participants. Another is that the study only looked at older people. And the study data is 10 years old now, she noted. "Much has changed since the baseline for this study. New sweeteners are out, different sweeteners are blended to achieve the sweet taste with minimal sweetener, and reports indicate that intake is down, so all these factors could change this outcome," Diekman said. Considering the study's weaknesses, Diekman added, "the data it provides might be more of the 'nice to know' variety rather than of value to practitioners." What should you do if you're concerned about your waistline? Fowler suggested trying fresh-brewed tea and coffee, especially if you seek caffeine, and bubbly unsweetened mineral water with fruit juice if you like carbonation. Another option, she said, is cutting down on diet soda, she said. Diekman cautioned that "behavior change of any type is tricky. It takes time and it usually means finding another, healthier behavior that is equally enjoyable. It is not impossible to change but it takes commitment." The study appears in the March 17 issue of the Journal of the American Geriatrics Society.